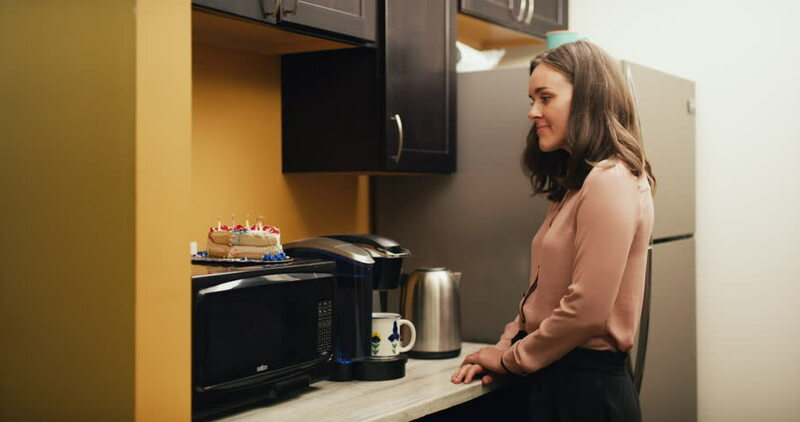 Content office worker makes coffee in office kitchen with cake on microwave. Dolly out shot on 4K RED camera on a gimbal. 4k00:33Patient female office worker makes single serve coffee in office kitchen then drinks it. Medium to closeup shot on 4K RED camera on a gimbal.